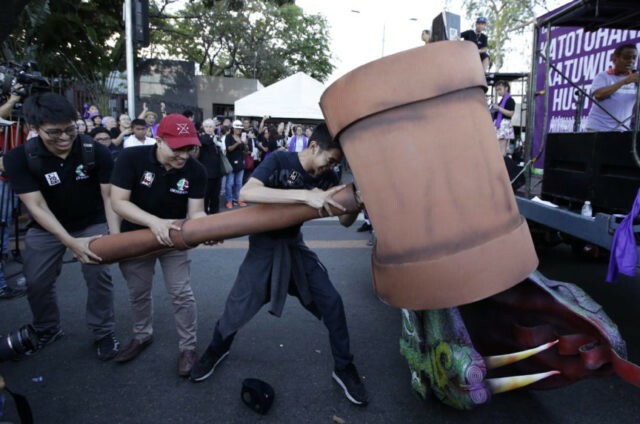 MANILA, Philippines (AP) — The Philippines’ embattled Supreme Court chief justice has called on Filipinos to stand up against authoritarianism and threats to human rights in an indirect criticism of the country’s volatile leader, who has long wanted her removed. Chief Justice Maria Lourdes Sereno is facing two ouster attempts, including by President Rodrigo Duterte’s administration. The government’s legal counsel has asked the Supreme Court to expel Sereno, who has gone on indefinite leave, for allegedly not declaring her assets, and a House of Representatives committee is to vote Thursday on an impeachment case against her.